Over the years, writers have come at Batman from a lot of different angles. He’s been a zany weirdo, a paranoid genius who makes plans for how he could most effectively kill his friends, and a brilliant detective who solves crimes with his mind as often as he does with his fists, but we rarely see much of that last one in the movies—at least outside of that one scene in The Dark Knight where Bruce Wayne used a gun robot to shoot bullets at bricks or whatever. For Matt Reeves’ The Batman, though, it sounds like that might change. Earlier this month, Reeves suggested that his movie would be a sort of Hitchcockian take on the Caped Crusader, and now he has expanded on that a little bit in an interview with New Trailer Buzz by adding that The Batman will be about an “almost noir-driven, detective version of Batman” instead of the guy who just really wanted to punch Superman and murder henchman in Batman V Superman: Dawn Of Justice. Reeves didn’t offer many other specific details, but if he is going for a more cerebral version of Batman, than the rumor about The Penguin replacing Deathstroke as the big villain would also make a fair amount of sense. 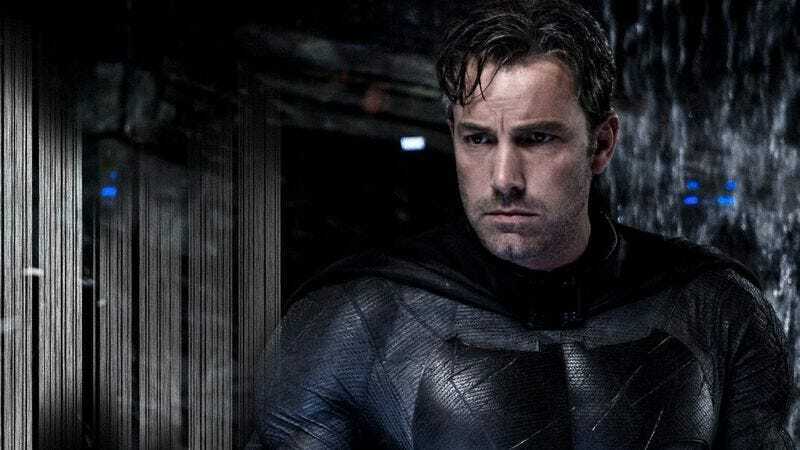 Now let’s all just imagine how hilarious it will be to see Ben Affleck’s totally ripped Batman dusting for fingerprints and hunting for clues while wearing his huge, muscly Batsuit.